Bangalore: The Union government has embarked on an overhaul of the examination process for the maritime sector, including easing norms for promoting general crew as officers, as it tries to help tackle a growing shortage of officers. “We are working on comprehensive examination reforms including introduction of on-line tests to reduce hardships for those looking to take up a career at sea," said Rajeev Gupta, joint secretary in charge of shipping at the Union shipping ministry. “This will cut delays and make the system more transparent." Gupta told Mint that the government has decided to convert general purpose staff on ships, known as ratings, into officers by factoring in their educational qualifications and sea service experience “so that they don’t have to start the entire process of qualification afresh." The decision comes as the global shipping industry battles an acute shortage of manpower to operate ships, threatening to also upset fleet acquisition plans. India supplies about 82,000 seafarers to the industry, or about 6% share of the global seafaring population. This includes about 26,900 officers and 55,000 ratings. The government’s policy managers are working on ways to maintain the country’s share of providing 6% of the global seafarers, and to supply one-fifth of the additional requirements by 2015, as interest in this profession among youths in large cities wanes. “This (shortage of trained and technically qualified officers) will only worsen in future when a record number of new ships ordered by fleet owners start operating in a couple of years," said S. Hajara, chairman and managing director of state-run Shipping Corp. of India Ltd. According to shipping industry experts, the current examination system is bogged by delays in conducting tests, declaring results and issuing certificates of competency, or the licence to sail on ships. “Our logistics system takes its own time. 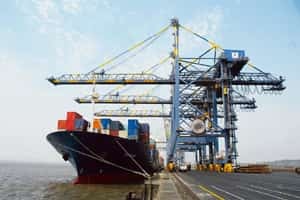 There is an urgent need to speed up the entire process," said Shyam Jairam, a senior official at Mumbai-based maritime association of shipowners, ship managers and agents . “For instance, candidates looking to appear for officers category examinations have to stand in queue for three-four hours just to get their applications forms." Some 500 candidates who have passed their examinations are awaiting certificates of competency. Earlier, the government had outsourced some portion of the examination to outside agencies, but with little success. “The entities associated with outsourcing were not found to be quick and efficient enough," admitted M.M. Saggi, nautical adviser to the Indian government and additional director general of shipping. “If the industry is ready to take over this task, we are ready to pay for it." Last week, the government announced a scheme of ratings for those who finish class X or XII with 50% marks in English and have at least 36 months of sea service experience to appear for examinations for the post of second mates (officers). The sea service experience can be relaxed to 24 months subject to certain conditions, said a circular issued by the Directorate General of Shipping, the country’s maritime regulator. “In order to reduce the lead time to produce qualified officers, it is necessary that horizontal induction takes place from existing categories where there is a surplus," said J.S. Uppal, a senior deputy director general of shipping. “The scheme is intended to generate qualified officers in a fast track mode from the available pool of ratings." Till now, India had tough entry and qualification rules for the second mates examination. “As a result, hundreds of our boys are compelled to take their examinations outside India in countries such as UK," said Hajara. In August, the government had increased the maximum age limit to 25 years for admission to all pre-sea courses for officers to facilitate candidates from rural areas to join the seafaring profession.